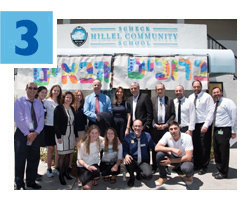 In 2013, the Greater Miami Jewish Federation became the first Jewish community in the U.S. to invest directly in Israeli public equities as part of its endowment portfolio, and other communities have since followed Miami’s lead. This week, Federation’s Investment Committee Chair John Bussel led the inaugural Israel Investment Summit. Focusing on investment opportunities in Israel for private investors and endowments, the five-day mission featured meetings with top Israeli business leaders, investment houses and private equity and venture capital firms. Mission highlights included meetings with The Honorable Reuven Rivlin, President of Israel, Tel-Aviv Stock Exchange Chairman Amnon Neubach and Bank of Israel Governor Karnit Flug. 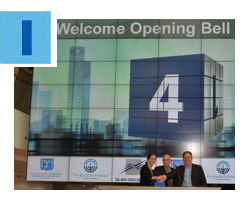 Organized by The Jewish Federations of North America (JFNA) and Israel’s Economic Mission to the US, the program showcased Israel’s vibrant and innovative economy and business and startup sectors. B’nai Mitzvahs in Jerusalem, wine tasting in Kiryat Tivon, ATV rides, rafting down the Jordan River, dinner in a Bedouin tent, a traditional Ethiopian lunch and dance performance in Pardes Channa-Karkur, sunset burgers and beers in Tel Aviv, taking in history at Independence Hall, and a visit to the Yitzhak Rabin Center…participants on the 2016 Summer Family Mission to Israel experienced it all and then some on their 10 day journey through our spiritual homeland. Click here to see photos from the mission and click here to find out more about Federation missions to Israel. Last month, a delegation of Ministers of Knesset visited Miami and other US cities to learn more about the American Jewish community. MK Nachman Shai wrote an editorial in the Jerusalem Post about his observations. The delegation met with leadership, students and teens throughout our community. Visitors included Tzachi Hanegbi (Knesset Majority Leader), Meir Cohen (Yesh Atid), Michal Rozin (Meretz), Nachman Shai (Zionist Camp), Revital Swid (Zionist Camp), Josh Shwarcz, Secretary General, The Jewish Agency for Israel, and Rebecca Caspi, JFNA Senior VP for Global Operations, Director General JFNA’s Israel office. 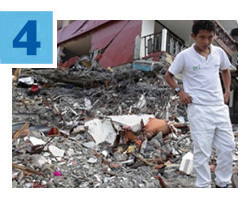 On April 16, a horrific earthquake hit Ecuador killing hundreds and injuring thousands. 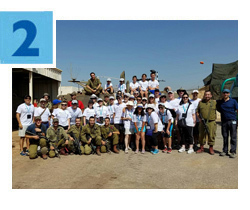 The Federation-funded American Jewish Joint Distribution Committee (JDC) was on the ground immediately working with partners and providing aid to those who needed it most, including food, water, medical equipment and supplies, water filters and purification tablets, solar panel lamps, and post-trauma kits for children. Attention, employers! Are you looking for qualified candidates to help grow your business? Let JWorks Miami help you assess your staffing needs and refer qualified, pre-screened job-seekers to you. JWorks Miami is a community employment program provided through a partnership of Federation and Jewish Community Services of South Florida, and offered at no cost to local employers and Jewish job-seekers. For assistance, click here or call 786.866.8498.